iMANAGE collaborated with a team of experts and professionals entrusted with the rehabilitation of existing landfill at Marsascala into recreational park. iMAN’s role was that of site supervision and project management as well as the co-ordination of the inputs from the various consultants within the team that were critical to successfully deliver this challenging and complex project. 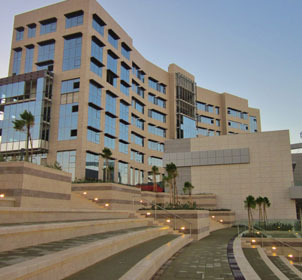 The works consisted of the construction and finishing of a visitors’ center, site grading and formation of levels, structural capping over existing landfill, infrastructural works, irrigation and M&E services, construction of retaining walls, rubble walls and pathways, landscaping, five-a-side football pitch, amphitheater and other entertainment and play areas.